Tesla Motors CEO and SpaceX founder Elon Musk’s idea for the Hyperloop is one that sounded a bit like fantasy to some. 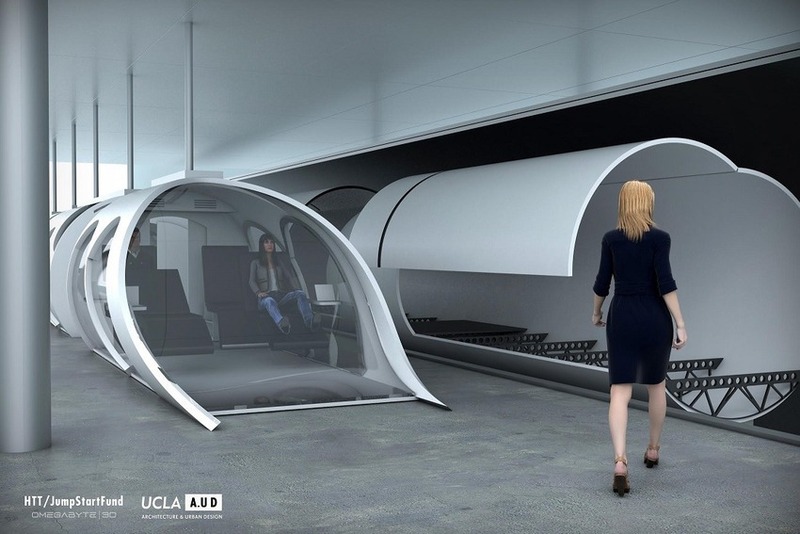 But it appears that there’s progress being made on the potentially game-changing transit system: The developers estimate an up-and-running Hyperloop in just 10 years. Of course, there’s still plenty of work to do. On Friday, the brains behind bringing Hyperloop to reality released a 76-page white paper outlining progress on the land travel system, which transports people in pods that move as fast as 800 mph. Since then, it’s not so much in Musk’s hands as it is Dirk Ahlborn’s. He’s the CEO and cofounder of JumpStartFund, the startup overseeing Hyperloop with Musk’s approval. The paper includes new renderings, showing pods (pictured above) with a improved geometry and design. The front end is circular for better aerodynamics. And people now sit in capsules that are then loaded into outer shells. There will be tickets for the rich and the poor, too, of course, with freight, economy and business classes. The problem, Ahlborn said, is convincing the naysayers that this is something that can come true. People would need to use it — every single day — for it to be a viable transportation. As for funding, Ahlborn said that he’s been approached by several “rich individuals” and other investment opportunities. And the idea of crowdfunding has been tossed around. The whole point of this update is to get feedback from the public that would be interested in commuting with Hyperloop. The developers invite feedback via their website from everyone. That includes potential employees and investors, as well as the “mom with a toddler,” Ahlborn said.